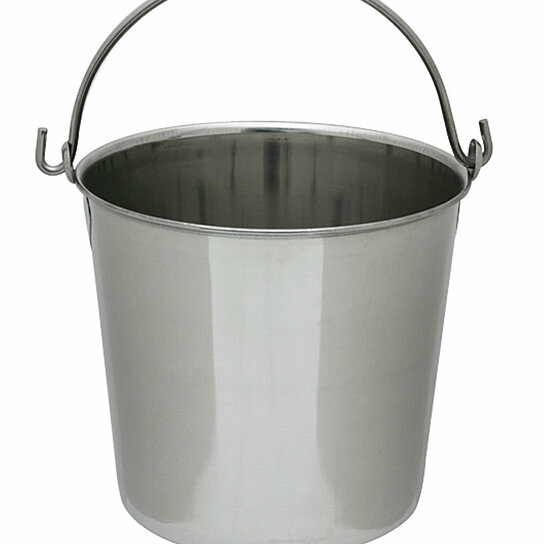 Heavy Duty Stainless Steel 13-Qt Pail. Seamless pail construction. Polished finish inside and out. Spot-welded ears for strong handle support. Easy to wash and sanitize. Size: 10" high x 11" diameter (top rim). Size: 10" high x 11" diameter (top rim).